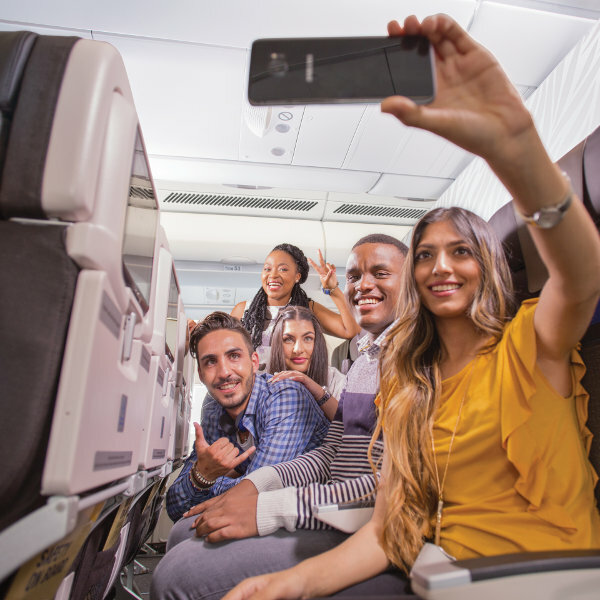 SAA is the leading carrier in Africa, serving 57 destinations within Africa and across the world, and offers ‘Voyager’ Loyalty Points along the way. SAA prides itself with exceeding expectations and ensuring positive travel and brand experiences for travellers across the globe. South African Airways (SAA) is the national flag carrier of South Africa and services many domestic and international destinations from their hub at OR Tambo airport in Johannesburg. SAA has been a member of the prestigious Star Alliance group for over 10 years now. Together with their popular low-cost airline, Mango Airlines, South African Airways holds the first and second position for South Africa’s most on-time airlines. SAA quite recently Introduced a Mobile Boarding Pass, which cuts your boarding time in half by allowing you to download your boarding pass, save it on your smartphone, and present it at the departure gate. Fly SAA and dine like a king or queen as you taste cuisine prepared by South African celebrity chefs: Reuben Riffel and Benny Masekwameng. SAA also serves some of the finest South African wines onboard. Book South African Airways flights to Lagos, Dakar, Washington DC and other exciting places! It is expected that your carry-on baggage will fit under the seat or the overhead bin. Personal items like purses, overcoats and laptops are allowed. Each class has a weight restriction and you may be charged more if you exceed the baggage limit stipulated for your cabin class. With the exception of service dogs, pets cannot be carried in the passenger cabin on SAA flights. Service dogs are carried free of charge. The weight of the animal and its container will be charged as excess baggage. It is not accepted as part of free baggage allowance. It is the owner’s responsibility to ensure that the animals are properly crated and accompanied by valid health and vaccination certificates, entry permits and other documents required by countries of entry or transit. If you wish to travel with your pets on SAA, please make the necessary arrangements with SAA’s Cargo department on 011 978 3366 before you fly. Check-in for domestic SAA flights opens 2 hours before departure and closes 45 minutes before take-off. Check-in for international flights need to be done 3 hours before departure, while flights to the USA have to be done 4 hours prior to departure. Online, mobile, social media and self-service kiosk check in is also available for departure from selected airports. 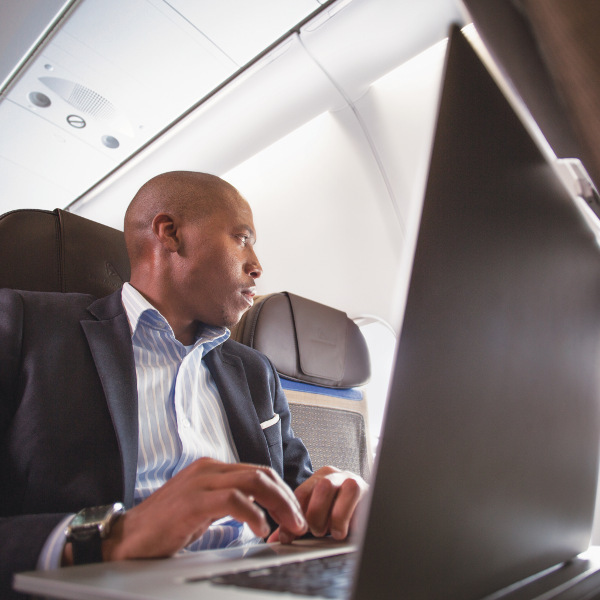 You are treated to audio video-on-demand on long haul regional and international flights. Business class and Economy class seats are fitted with personalised screens. There are over 100 movies, access to 100 TV features, 15 games, 14 radio station channels and more than 170 music albums just for your enjoyment. SAA flies to 30 international destinations in 26 countries including Africa, Europe, the Americas, Asia and Australia. More recently, South African Airways ever-expanding route network includes direct flights to Dublin, Beijing and New York City. 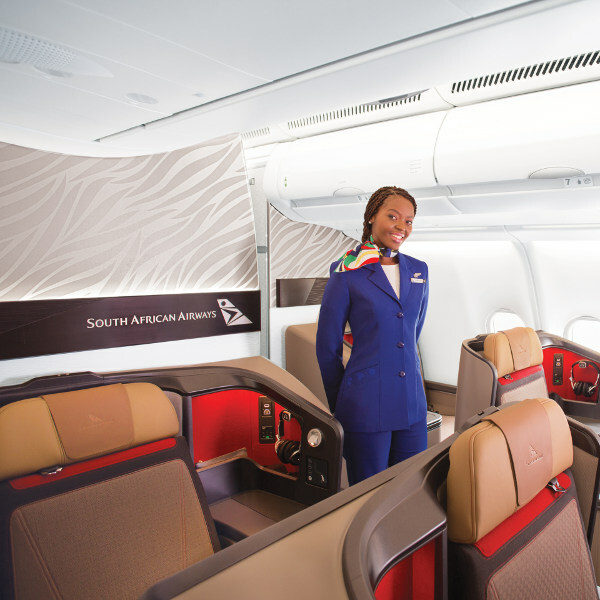 With many more exciting routes planned for 2012, SAA is, without doubt, the leading African airline when it comes to global reach. For SAA flights to the USA, passengers must check in at least 3 hours before departure. On all other international flights, passengers must check in at least two and a half hours before take-off. SAA operates two daily flights from South Africa to the United States, as well as operating the only direct flight from Johannesburg to New York City on the Airbus A340-300. The South African Airways current fleet consists of the following aircraft. Airbus A319-100, Airbus A320-200, Airbus A321-200, Airbus A330-200, Airbus A340-300, Airbus A340-600 and Boeing 737-800. Its cargo fleet includes: Boeing 737-200, Boeing 737-300 and Boeing 737-400.